Tonight I was going through my photo disk and found this photo of Barry Kornbluh that I made at the PAN Amsterdam in 2006. It was love at first sight when I saw the photo ‘M in France’ at the stand of Kahmann Gallery and had to have it… the tenth red dot next to it is mine.. Barry Kornbluh, the photographer, was at the PAN as well and so kind to pose next to his photo. Still very happy with this acquisition that was also the starting point of a small but growing collection and last but not least a friendship with Barry.. This entry was posted on Wednesday, February 10th, 2010 at 12:48 am. 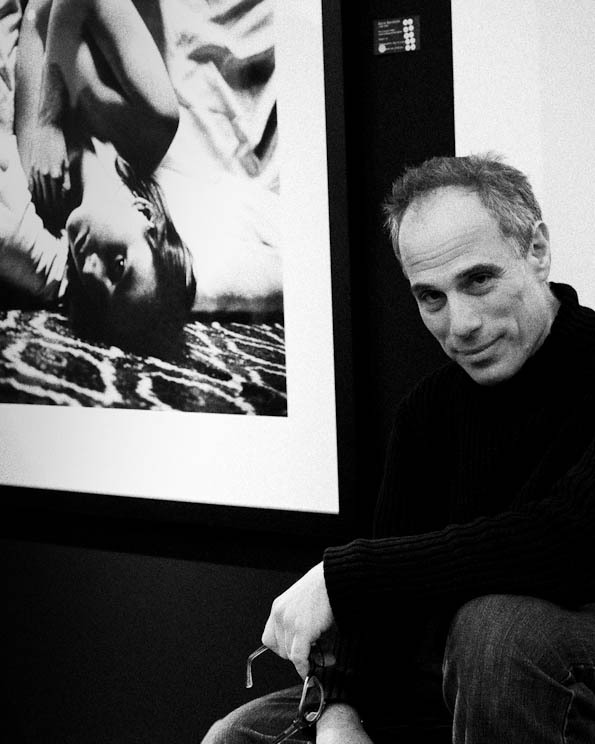 It is filed under All posts, Miscellaneous, Portrait and tagged with 'M in France', Barry Kornbluh, Black & white, Kahmann Gallery, PAN Amsterdam 2006, photographer. You can follow any responses to this entry through the RSS 2.0 feed.